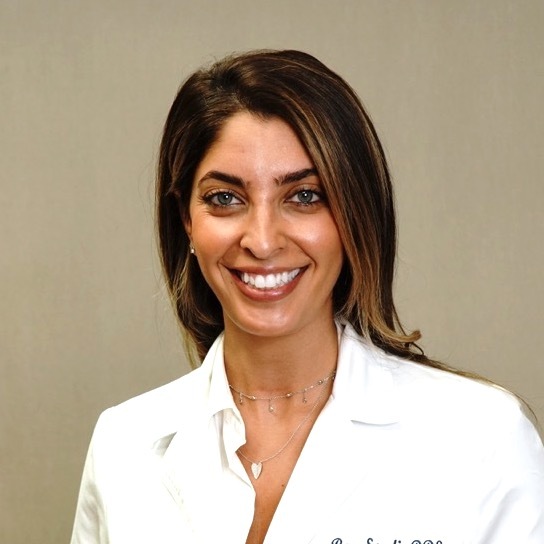 Dr. Roz Saedi was born and raised in sunny Southern California. She graduated at the top of her class from the prestigious University of Southern California School Dentistry where she earned her Doctorate in Dental Surgery. Prior to her dental education, she earned her Bachelors of Arts degree in Sociology from the University of California, Los Angeles. Dr. Roz is a skillful and artistic family dentist who is committed to delivering the highest quality dental care. She strongly believes in building relationships based on trust, helping you make informed decisions about your dental care, and creating a smile that is designed just for you. Dr. Roz has extensive experience in the treatment of children and adults, with an emphasis on preventative dentistry. She strives to stay up-to-date on the cutting edge technology, new dental treatments, and all the latest advancements in the field of restorative and cosmetic dentistry. She is continuously seeking to advance her clinical skills through various continuing education courses. Dr. Roz maintains active memberships with the American Dental Association, the California Dental Association and the Los Angeles Dental Society. When she is not in private practice, she enjoys giving back to the community. Among other community activities and endeavors, Dr. Roz volunteered services to numerous community oral health clinics including USC mobile dental clinic, Queenscare Mobile Clinic, The Union Rescue Mission, and Special patients Clinics of USC. Outside the office, Dr. Roz enjoys taking spinning classes at Soul Cycle, snorkeling and traveling. She looks forward to meeting all current and new patients and ensuring the best dental health and happiness for all.